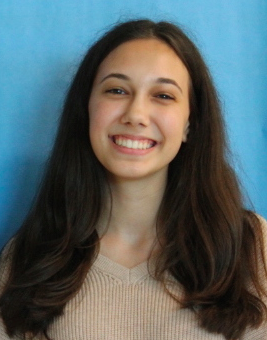 Allie D’Angelo ’20, a paper news editor for the blue staff, is a key member of the Inklings teams. D’Angelo has always had an interest in Advanced Journalism, as she finds it essential to report unbiased writing so that you can fairly represent both sides. Finding herself next to a diverse group of students, D’Angelo feels journalism is a great way to communicate with people she wouldn’t talk to before, while also improving her writing skills. “I don’t see journalism as a class,” D’Angelo said. “But more as a fun hobby because everyone is supportive of each other and has the same goal.” With journalism being such a broad interest to have, D’Angelo loves that it opens up many potential fields for her in the future. When she is not reporting, D’Angelo finds a strong passion in her love for reading and playing the piano.